Four kids. Real life. One day at a time. Join us for more conversations on parenting at Four to Love on Facebook! Disclosure: This post contains affiliate links. As an Amazon Associate, I earn on qualifying purchases. Postpartum depression and other perinatal mood and anxiety disorders (PMAD) are the most common complication of childbearing. PMADs affect 1 in 5 mothers and 1 in 10 fathers! I personally went through a PMAD twice following the births of both my girls. It was an incredibly difficult and lonely time, but I got through it with help, and so will you! I’m going to share some tips I learned through education and my personal experience on how to get through a PMAD. Everyone has a different situation and journey, so what worked for me, may not work for you – and that’s okay! I also want to stress that getting through this took time. Both times I had a PMAD, I attended a support group. I absolutely loved my support group – for me, it was a huge part of my recovery. I felt like I wasn’t alone and the women who attended with me understood how I felt. The connection to other moms who “get it” was such a gift. The support group was a place I felt safe to share how I was feeling without fearing the judgment of others. This group also had a “family night” as part of their program where attendees could bring family and friends. Everyone heard from a mom and one of her family members about their experience with a PMAD and could see that they got through it. This night was one of the first times I felt I would absolutely get through this one day. I attended therapy during both my experiences with PMAD. Talking to someone who wasn’t judging me and where I could talk and work through my feelings was greatly helpful. My pregnancy with my first daughter was healthy and uneventful until we were unexpectedly induced. The labor that followed was long, exhausting, painful and scary at times. My daughter was sent to the NICU for a week and we had a lot of trouble breastfeeding. 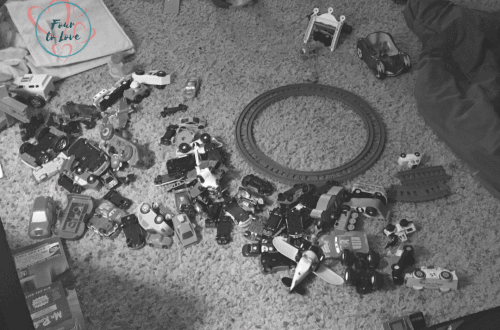 I felt so much guilt and felt like I was a failure as a mom, wife, and person. In therapy, I learned ways to manage my anxiety, how to “forgive” myself after feeling such immense guilt about the birth of my first daughter and so much more. One of the big messages our support group stressed to us was to take care of ourselves. We were given the example of putting an oxygen mask on yourself before helping others on a plane. It is so important that we take care of yourself! This can look different for everyone. For me, I began dance lessons and I also exercise 5-6 times a week. After years of throwing myself into my career and then motherhood, I didn’t have any hobbies or activities I did regularly that I enjoyed. I now make the time to care for myself. It leaves me feeling replenished and happier as a person. 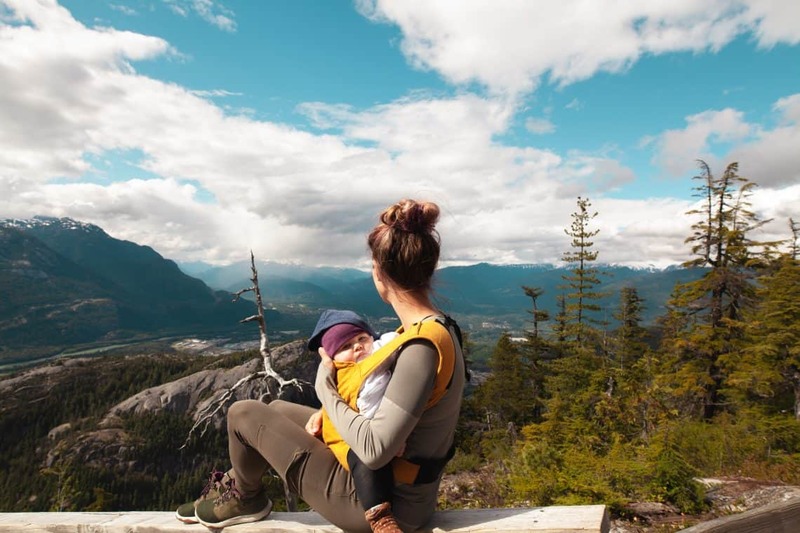 Read Bridget’s inspiring and empowering story of her journey through postpartum depression and anxiety in her book, Me, Again: How Postpartum Depression and Anxiety Transformed My Life. It is important to care for yourself physically as well as emotionally. If you are feeling like you aren’t yourself, I recommend visiting your primary care doctor as well. There could be something “off” that they can help with. I had a physical and found my B12 levels fell into a “low-normal” range that had higher incidents of depressive symptoms. I began taking supplements and a few weeks later, I started to feel more like myself. My mother-in-law was diagnosed with lung cancer while I was pregnant with my second daughter. We knew she would be in treatments and taking care of herself. We hired a postpartum doula to help me. She came to our home three times a week for a few hours to help with breastfeeding, cleaning, and watching the girls so I could nap or run an errand alone. She was absolutely amazing. My first daughter was not great at breastfeeding. We had to supplement with formula, and I pumped as well. This was incredibly time consuming and stressful for me. I eventually weaned the breastfeeding and pumping because it was not working for us, specifically me. After we were finished with breastfeeding and pumping, I felt like a weight was lifted off of me. With my second daughter, we sleep trained her when she was between seven and eight months old. She was not a great sleeper; she woke a couple of times a night to breastfeed. The lack of sleep and exhaustion played a very big role in the anxiety I felt. I was able to sleep more and feel more like myself once we sleep trained her (which she did so great with). When rested, I was much more able to deal with my anxiety in a better way. I didn’t personally use medication, but I know many people who did and say it was wonderful and helped them so much with their PMAD. Talk to your doctor and therapist about medication if you think this will help you. There are many options! You are not alone or to blame, and you will be well with help. 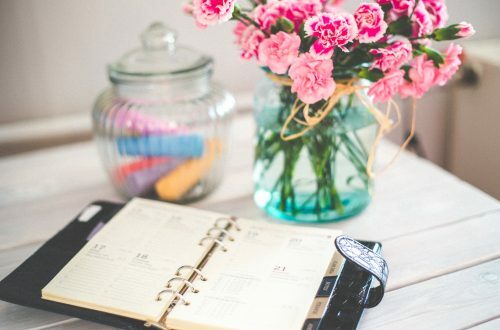 One of my favorite resources is the “New Mom Mental Health Checklist” from Postpartum Progress. This is a “checklist” where you can “check” what you are feeling and show to your doctor or health provider. Sometimes finding the words to describe how you feel, is hard. This helps! 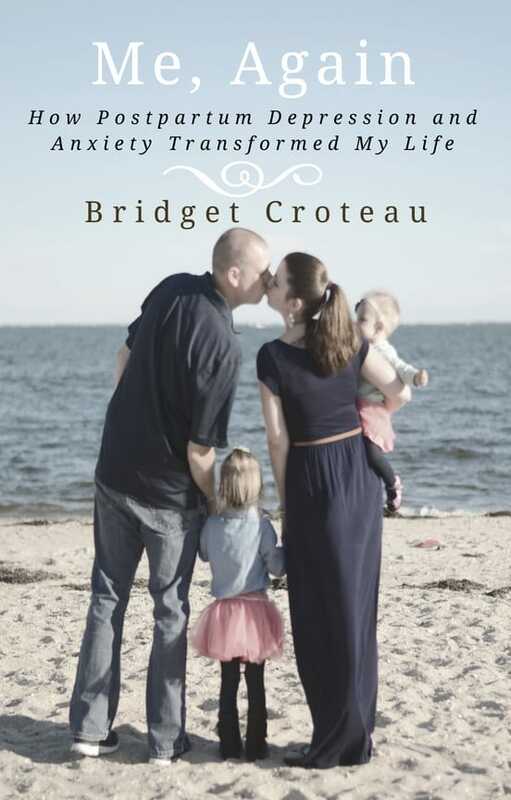 Bridget Croteau is the author of Me Again: How Postpartum Depression and Anxiety Transformed My Life. Bridget resides in New York with her husband, Beau, and her two children, Natalie and Chloe and labradoodle, Jake. She is an author and teacher. She currently holds the title, Mrs. Suffolk County America and will be competing for the title of Mrs. New York America in March. She has been volunteering with the Postpartum Resource Center of New York since 2015 and was awarded Volunteer of the Year in 2018. 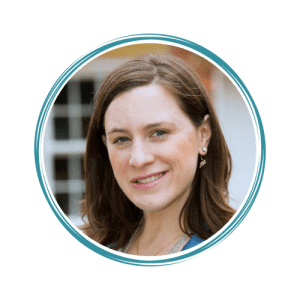 She is passionate about sharing her experience with Postpartum Depression and Anxiety to help moms, dads and families in New York and beyond feel like they are not alone and to offer the hope and comfort that they will get better with help. These are great and important tips and information for moms who are struggling. I have not personally experienced this, however, have many friends and family members that were affected. Thank you so much for sharing these tips. I am sorry to hear your friends and family have been affected by postpartum depression and anxiety. It is so much more common than people may think! 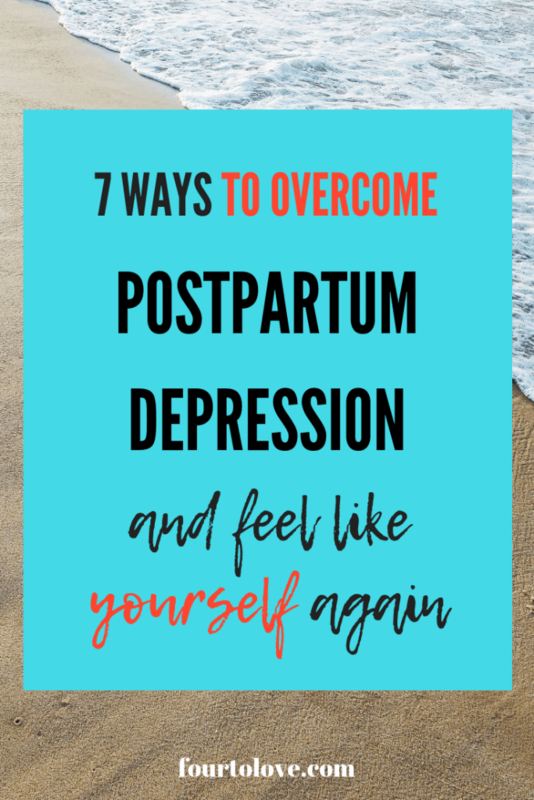 These are some wonderful tips for anyone struggling with postpartum. I prepared for the worst when I had my daughter and thankfully I didn’t have it too bad. I do sympathize with anyone going through it. It’s not an easy journey. I am so glad you were not too greatly affected by postpartum depression and anxiety, but it is good that you prepared yourself just in case. I think some people are not aware how at risk they may be before it is too late. These are great tips! Self care and staying active are great ways to combat depression! Thanks, Sarah! So important for new moms (or moms in general!) to do things for themselves. Thank you for bringing awareness to this topic! It is near and dear to our hearts as well! Thank you for reading, Heather! It will be great if this post can bring support and hope to moms who need it. Those are some great tips, especially the one about taking care of you. As a mom I tend to try to take care of everyone else and feel guilty when its time to take care of me, but I need to remember that if I am not okay I am not able to take care of everyone else like I should. Thank you for sharing those! Such a good point, Stephanie – you can’t pour from an empty cup! Thank you for talking about this!! These are really great tips and a good reminder that not only is it okay, but also important to take care of ourselves as moms! So true – it’s easy to get caught up in taking care of others and neglect our own needs as women. 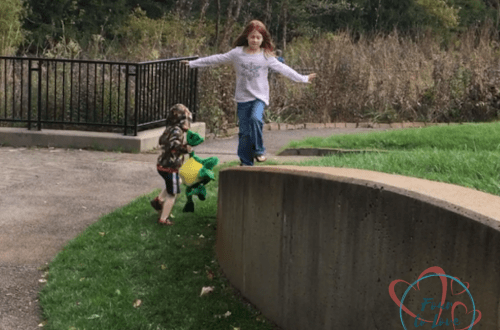 I'm Jennie, a mom of 4 who shares no-frill ideas for solving your everyday parenting challenges. In the name of full transparency, please be aware that this website contains affiliate links. Any purchases made through such links will result in a small commission for me (at no extra cost for you). As an Amazon Associate, I earn from qualifying purchases.